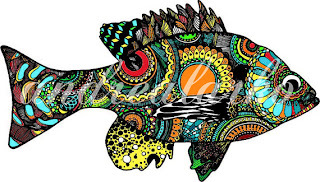 The International Hobbyist: An open apology to the Bluegill. At first we were so good together, I couldn't get enough of you. Then I got a bit older, more sophisticated, and you were too available. I foolishly mistook your generosity and pugnaciousness for stupidity. Sure, when I needed snapping turtle bait, you were there. When I needed a fish to preserve in formaldehyde, I turned to you. If I wanted a big mess of tasty filets in a short time, you did just fine. For that, you were always good enough. But when my friends were around, I was ashamed of you. I'd yell at you, call you names. "This bait isn't meant for you!" "I don't want to catch you!" "Stop #*%ing stealing my bait you #*%^ing #%^*!" I'd shout. Then I'd release you, generally long distances, sometimes at high speed, without even a fraction of the care I'd show your more glamorous and attractive friends. You deserved better, and I didn't deserve you. Now, a quarter of a century later, you're gone, and finally appreciated. I miss you so much it hurts. I need you back in my life. I have a little girl and a boy on the way who could fall in love with you like I once did, only they'd never take you for granted, I'd make sure of it. 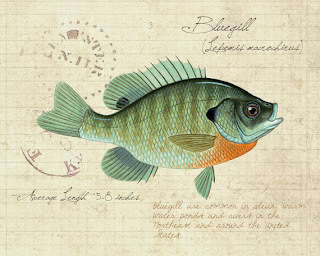 Go do something nice for a bluegill today. Buy an awesome print and hang it up like it were of a salmon. The next time you release one, take that extra second to appreciate it while you swish water through its gills, just like you would a trout. Take a photo, fly rod in in your teeth, cradling the bluegill like you would a bonefish. The bluegill deserves your love, not your scorn.